Terracon is tailoring services to keep your healthcare facility one step ahead. To best serve our most vulnerable populations, you need an experienced, nimble partner to maintain functionality and performance of existing structures; build new facilities to serve changing needs; be accountable to stakeholders; adapt creatively to funding dynamics; and maximize budget and schedule while minimizing disruption to clients. Our purpose—to deliver success for employees, clients, and communities—means everything. More than 150 offices from coast to coast. Terracon focuses on understanding and meeting the needs of clients from a variety of industries. We do this by monitoring trends, participating in professional and trade organizations, and hiring key staff with select engineering and science industry experience. Our knowledge of specific industry issues and trends increase the value of our services to clients. 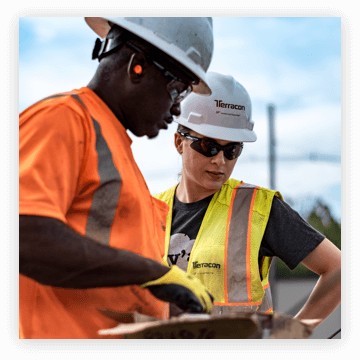 At Terracon, people of diverse talents come together to deliver success. As an employee, you are recognized as both an individual and as a member of our 100 percent employee-owned firm.